Latest For the Birds column: Gulls and ants? 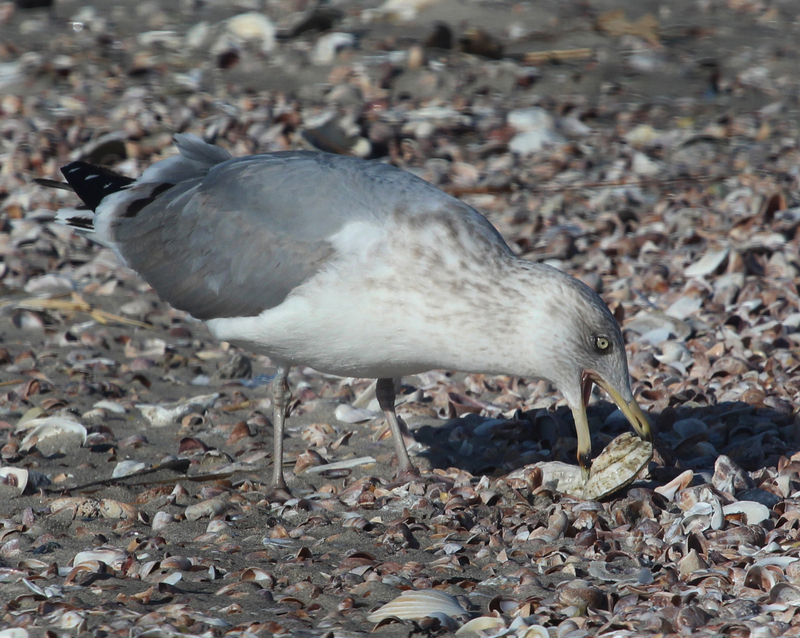 A Herring Gull positions a clam for eating in Stratford, Conn.
We’ve all seen gulls eat clams at the beach. They rise into the air, clam in bill, and drop the mollusk onto the pavement. If the shell doesn’t break, the gull goes a little higher the next time and drops the clam again. Eventually they get just the right altitude and the shell breaks to expose the good stuff inside. If they go too high the shell will shatter into a million pieces and splatter the meat into an inedible mess. If the gull is lucky, it will get to eat the clam waiting for it on the pavement. If they aren’t lucky, a marauding gull will have come by and stolen the clam before the industrious gull could even make its way back down to the pavement. But that’s just part of the gull’s varied diet. We’ve also all seen gulls eating fries, potato chips and other human junk food at the beach or in a parking lot. But did you know gulls eat insects, too? Even insects as small as ants make up part of a gull’s diet. How can an ant satisfy the appetite of a large bird like a gull? An ant can’t, of course, but lots of ants can. Humans don’t open a container of peanuts and eat one nut. We eat them by the handful. Here’s my latest For the Birds column, which runs weekly in The Hour newspaper (Norwalk, Ct.) and The Keene Sentinel (Keene, N.H.) This one deals with the various gulls (not “seagulls”) that we see in New England. Want to see For the Birds in your local paper? Contact the editor and make the suggestion. A Laughing Gull stands on a piling at a boat dock along the Norwalk River, Sept. 2014. Watching gulls is either one of the easiest things to do or most difficult things to do when it comes to birdwatching. On one hand, you can go to the beach (or parking lot or dump) and see all the gulls you want. 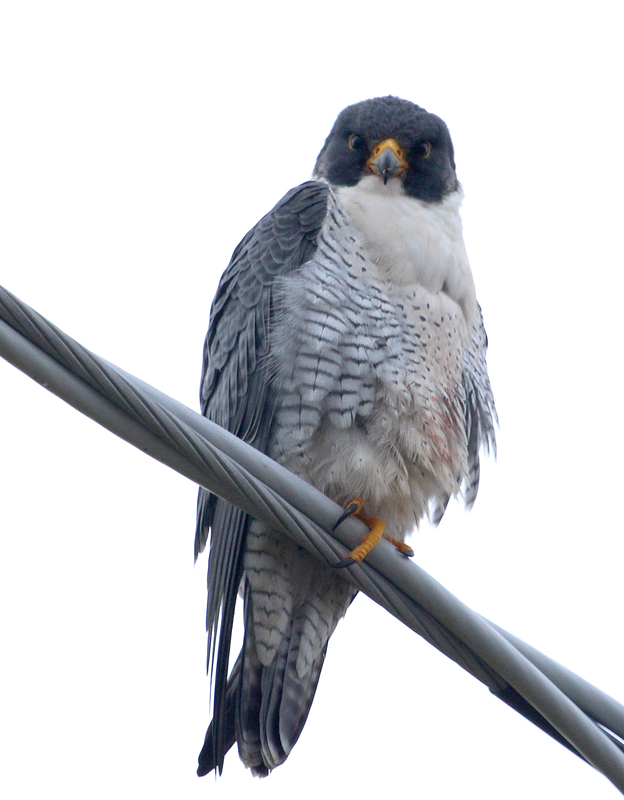 You are 100 percent guaranteed to see them any time of day and any time of year. On the other hand, gulls can be endlessly challenging for birders, to the point that expert birdwatchers are the only ones who can be certain what they are looking at — and even then maybe not so much. Like many aspects of birding, it’s as easy or as difficult as you want to make it. You can roll into a parking spot at the beach, pull out a stale loaf of bread and be surrounded by gulls in seconds. (Not that I’m condoning feeding birds bread.) That is certainly birdwatching, whether you care to identify the species of hungry gulls or not. Or you can find a group of gulls and inspect them to see if any rare species are mixed in among the common species. That sounds easy, but can be extremely difficult, if not next to impossible. It’s not as if the common species are blue and the rare species are yellow. In many cases they look identical with only very subtle differences. It’s like trying to find Waldo but only every other person in the picture wears glasses, blue jeans, and has a red-and-white sweater and hat on. So is that simply a flock of Herring Gulls and Ring-billed Gulls, or is there a first-year Iceland Gull mixed in there somewhere? Or perhaps is there a hybrid of some sort among the flock. Anyway, New England features several common gulls that may be easily found. The most common gull on a beach depends on exactly where you are in New England. 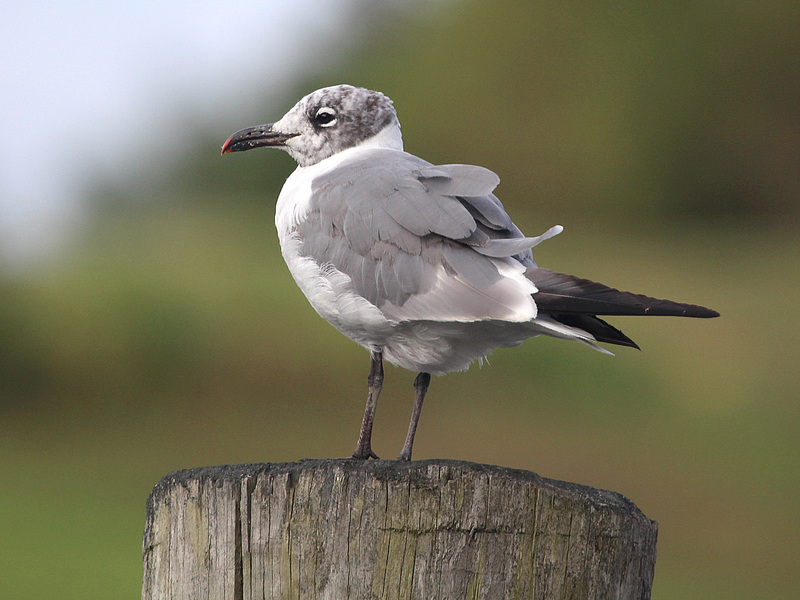 Ring-billed Gulls and Herring Gulls are the predominant gulls in the Norwalk area. Herring Gulls are the large ones while Ring-billed Gulls are smaller and have a black ring around their bills. Greater Black-backed Gulls are also common around here. They are the very large gulls with dark backs. Laughing Gulls, which feature black heads, are also common throughout much of New England, but not seen as often in the Norwalk area as the others I mentioned. Laughing Gulls show up more around here in late summer and early fall. The less common gulls that show up on occasion — and discernable only by experienced birders in many cases — include Lesser Black-backed Gull, Glaucous Gull, Iceland Gull, and Bonaparte’s Gull. Picking out these species is difficult because they look pretty much the same as the other gulls with white heads, chests and bellies, and darker backs. Adding to the confusion is that gulls of the same species can look very much different depending on age and time of year. Young gulls are often brown and/or heavily speckled. So even if you’re looking at 100 Herring Gulls many of the birds may look very different. There I go again — back to the 80s.